Tokyo, Japan: the largest city in the world. I was expecting blinding neon lights, agoraphobia-inducing crowds, an exhausting pace. I feared the jam-packed subway at rush hour, the feeling of disappearing in a human tide, the oppression of the tall buildings obscuring the sky. I was prepared to be brutally swallowed by a monster metropolis — with the hope that it would spit me out eventually. Well, one thing that’s certain is that Tokyo is highly unpredictable: in spite of its over 13-million-people population count, busy giant intersections and immoderate taste for new everything (fashion, food trends, cosmetics, technologies), the Japanese capital actually feels strangely serene. 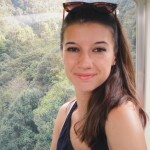 Locals always have — and take — the time to help the lost foreigner, transports are surprisingly easy to navigate, and no problem ever seems unsolvable. Indeed, Tokyo is so livable that we started feeling at home in our ‘hood of Roppongi after about 12 hours. It’s true, however, that time seems to fly faster there than anywhere else on earth. 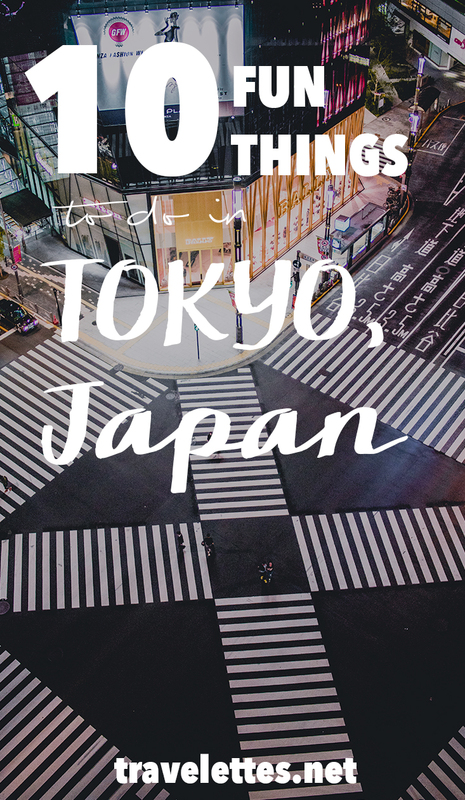 With so many adventures to be had, exotic dishes to devour and curiosities to explore, Tokyo will make you wish you could skip sleep altogether, hire a second stomach and teleport yourself from one fascinating suburb to the next. To avoid being overwhelmed by the gigantism of it all, here is a list of the 10 best things to do during your time there; not sights — you will find those in any guidebook — but rather experiences with a Travelettes twist. Enjoy! 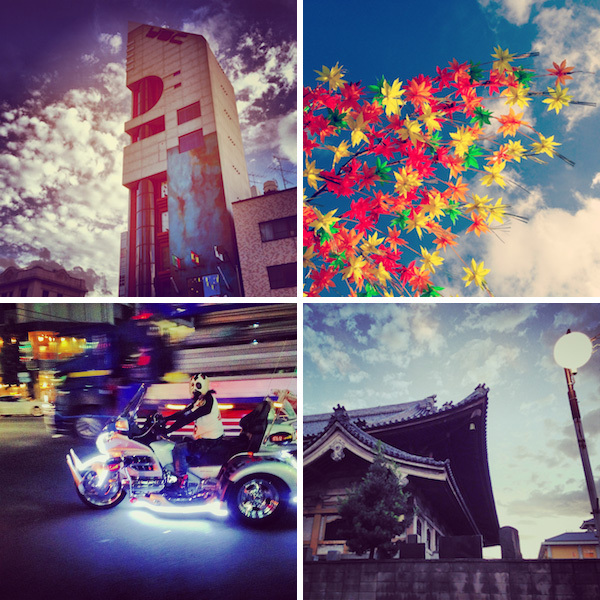 For recommendations on where to stay check out our Yonderbox “Stay in Tokyo” and have a look at our Travelettes Guide to Tokyo. One of the persisting clichés about Tokyo is the image of those inhumane, overcrowded intersections — the most emblematic of these being the Shibuya crossing, abundantly depicted in Sofia Coppola’s Lost in Translation. In reality, away from the main arteries, most Tokyo streets are tiny alleyways with cute little houses, collections of pot plants, colourful posters with kawaii characters, and that one bike (there’s always one bike). 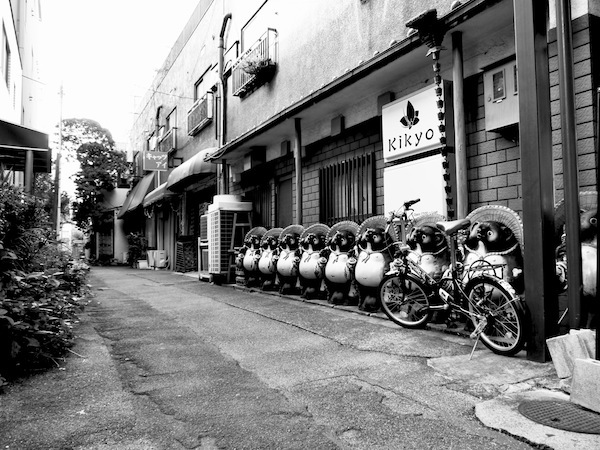 Plus sometimes a few creative additions, like these multiple duplicates of the exact same statue of Tanuki, the raccoon dog deity with a straw hat and a big belly (see, there’s also a bike). 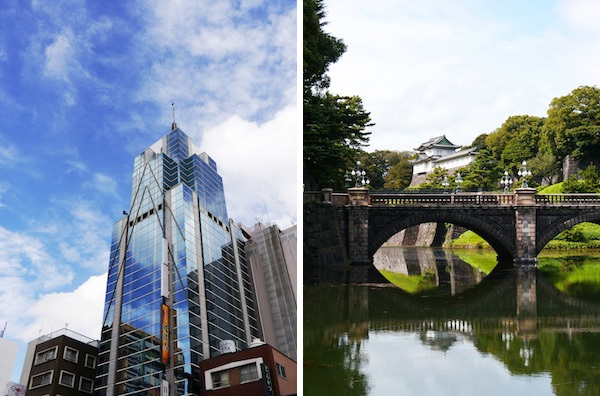 Now I must admit that some of our extensive promenades around the city were actually accidental — we got lost —, but looking back they made for some of my favourite Tokyo moments. Just walking around is the best way to spot amazing buildings, secluded temples, pretty street decorations — and, you know, pandas on motorbikes. 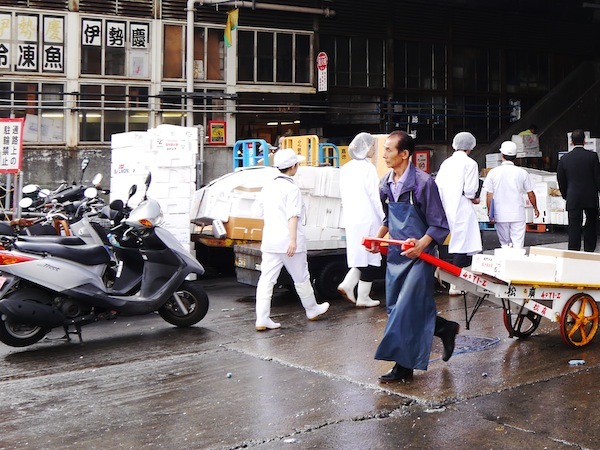 You will have to defy death to get it: the biggest fish market in the world is a daunting mess of electric delivery carts rushing in every direction at full speed, sometimes only missing each other (or tourists) by a few centimeters. But it’s worth it! 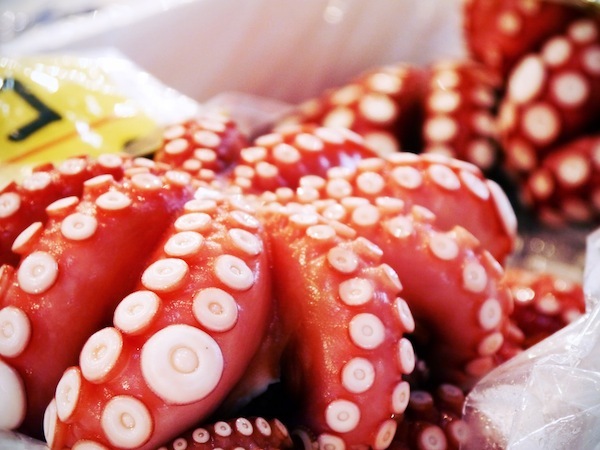 You will see monster tunas being smoothly cut up by skillful knife experts, live octopuses undulating their tentacles, eels trying to jump out of their basin… and many never-before-seen sea creatures. But the best is yet to come: after surviving the tumult of the market, go and sit back at one of its numerous sushi counters. 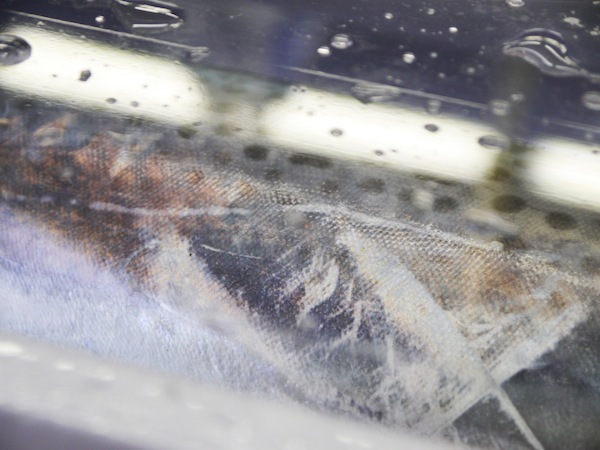 There, prepare to forget everything you thought you knew about sushi: watch the masters slice the fish that was caught just a few hours earlier with one perfect, dexterous caress of their knife… and dive right into SUSHI HEAVEN. Believe me, I’d had the chance to try very fine sushi before that day — and yet had no idea fish could taste like that. Whoa! Fact: socks are better in Japan. Delicate lace, beautiful patterns, kawaii animal prints… I came back with about half a suitcase full of them. 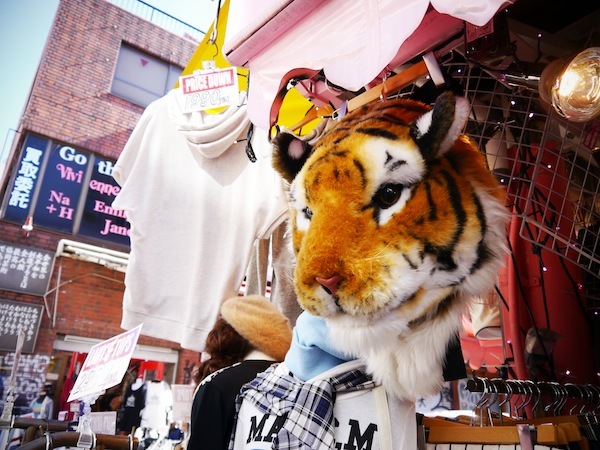 But numerous other marvels are also to be found in the nerve center of Japanese teen fashion: a plethora of hair accessories, shiny phone cases, epic outfits… And this incredible tiger head backpack, which I should probably have bought. I should mention at this point that Japanese girls are pretty much the ultimate Travelettes, since they go around everywhere in vertiginous heels. (Even when hiking up a mountain. Pregnant.) If — unlike mine — your feet are not too big, you will quite rightfully think that you have landed in the Promised Land of shoes, with specimens as genially absurd as these ice-skate look-alikes (spotted in Shibuya). Even if you’re not big on shopping, just sitting down in one of the cafés and outfit-watch is guaranteed to be time well spent. 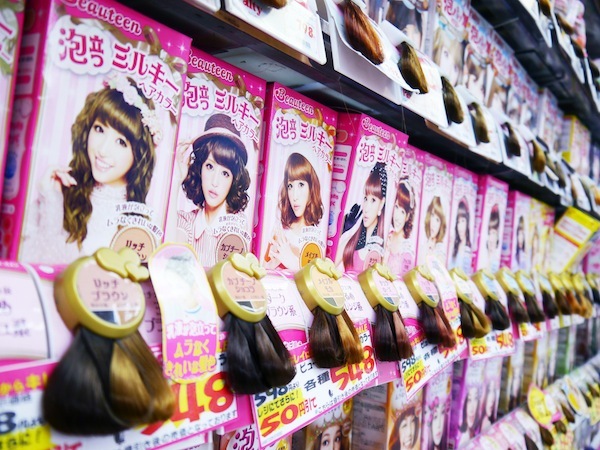 For more about Harajuku fashion, check out Alex’s guide here. 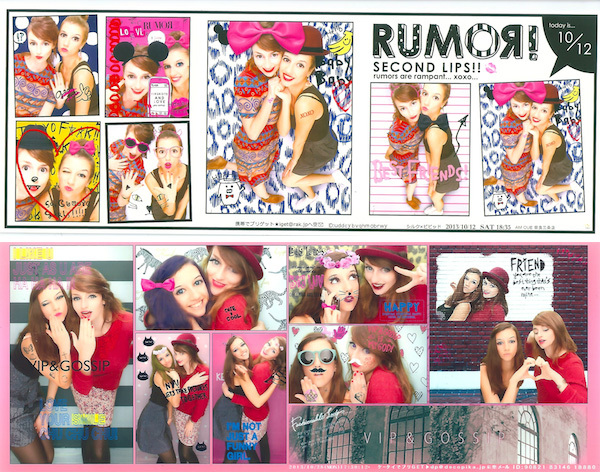 Ever had fun taking pictures with your friends in an old-school photo booth? Well wave those fun times goodbye because, after you try the Japanese version, good-old photo booths are going to seem so dull that you will never set foot in one ever again. This was hands down my favourite activity in Japan, and I cherish the resulting prints so much that I would rather have lost the content of my wallet than those photos during the trip. Photo booth centers are usually found in malls and main shopping areas (there is one on Takeshita-dōri in Harajuku, for example… but we also found one on top of a volcano in Kyūshū), and are easily spotted via the crowds of giggling high school girls that walk out of them. Choose between variously themed machines (I warmly recommend Rules of Kawaii), slip 400 yens in your photo booth of choice, and let the photo shoot begin: the machine will dispense on-screen directives to help you “be so cute you’ll make everyone jealous”. Once the photos taken, move to the editing area to add (vaguely English) catchphrases, small animals, floral headbands, bright makeup, purple hair, blue eyes… When the time is up, you will be delivered a sticker print featuring yourself with disproportionately big eyes, glowing white skin and legs longer than the Tokyo Tower. Ps: Don’t be afraid to ask for help, as this can be confusing the first time; for ours, we were abundantly assisted by a group of 14-year-old girls who couldn’t stop laughing. All cities in the world have street names, lined up with numbers that follow each other, and, with a map and a good pair of eyes, you can get yourself anywhere. Right? Wrong. In Tokyo, very few streets have names, which means addresses are indicated using the district (chōme), block number (ban) and building number… which does not necessarily depend on the house’s geographical location, but sometimes on its date of construction. Think of it this way: instead of following a line of numbers, you need to think in 3D. This all results in a very big mess, as not only tourists, but also Tokyo locals (and taxi drivers) go around in circles for hours, avidly staring at illogically-disposed numbers, hoping for a miracle. In these conditions, finding a place with a paper map, a compass and no Google Maps is such a big challenge that succeeding is very, very rewarding. So the first time that, after a 25-minute feverish search (and a little help from an affable granddad who was walking past and appreciated our attempt at speaking Japanese), we managed to locate the restaurant that we were looking for, I must admit that… we did cry a little. And oh did the okonomiyaki taste good after that! You have probably heard of Cat Cafes, which are so popular in Japan (where landlords often forbid their tenants to own pets) that they are now spreading around the world, with even a French version recently opening in Paris. 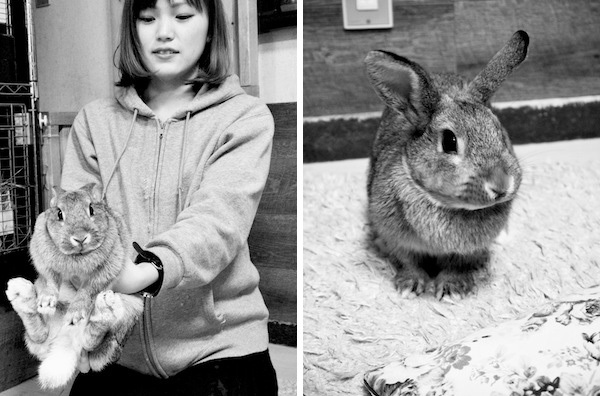 But did you know there was such a thing as a Rabbit Cafe? 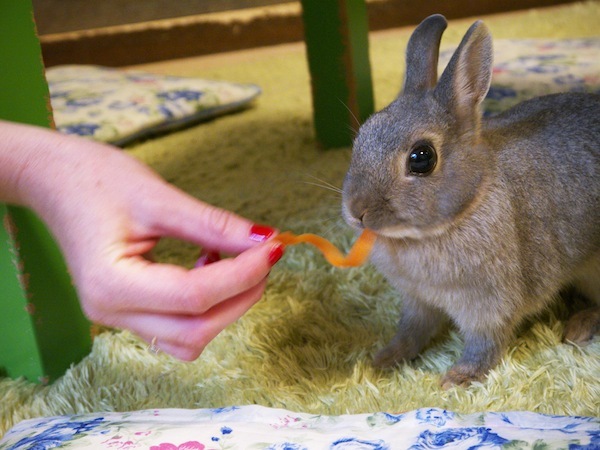 For a small fee, you get either 30 minutes or 1 hour in the cafe, with a cup of tea for yourself and a small jar of treats (thin strips of vegetables) to feed the bunnies. Only one rabbit can freely hop around the cafe area at once — the rest of them wait in their cages. However, if your heart melts for a particular furry friend, you can ask the Bunny Manager to hold it in your lap for a cuddle. Perfect Sunday hungover cure! The Rabbit Cafe we went to, where you will find this big-eyed cutie, is Ra.a.g.f (Harajuku), website here. Sensō-ji is Tokyo’s oldest Buddhist temple, situated in the traditional neighbourhood of Asakusa. In addition to being beautiful and having ever-burning healing incense (which will give you a solid cough if you try to heal yourself from too close), it is also one of the rare temples in Japan where you can pick up an O-mikuji (fortune paper) that is translated into English. Make an offering, draw a wooden stick from the box, and pick up a fortune-telling paper strip in the drawer that bears the number indicated on your stick (if you don’t read Japanese numbers, this could take a while; ask a charitable local for help!). If your fortune is good, or regular, you can keep it; but if it’s bad, it is custom to tie the strip of paper to one of the wires on the temple grounds so the bad omen will stay there and not stick to you. The best view over the city is easy to reach, and completely free: head to the Tokyo Metropolitan Government Building in Shinjuku (which, by the way, was designed as a futuristic version of… Notre-Dame de Paris) and take the lift to the 52th Floor. Tadaa. Before I visited Japan, I thought that the ban on dancing was a long-forgotten produce of the puritan rural America of the eighties, at a time when Kevin Bacon looked hot dancing his anger off in tight jeans and a singlet. But no. It’s still up and running today, in the hypermodern capital of Japan. 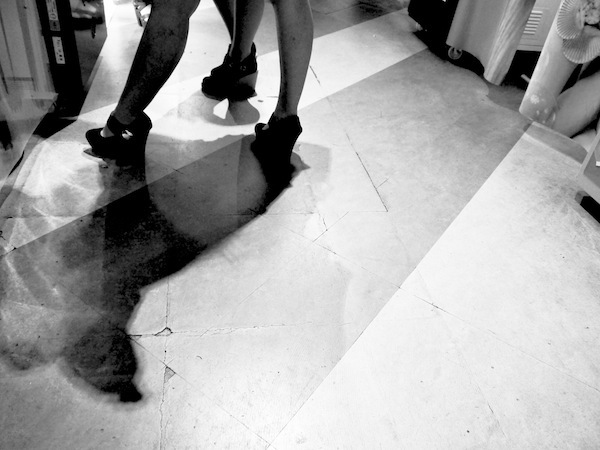 Well… dancing is not exactly forbidden in Tokyo, but to be allowed to let people dance, a venue must be licensed as a club — and a club has to close by 1 am, by law. Which means all-night parties just can’t happen — legally, that is. In reality, clubs (like techno temple Womb in Shibuya) operate as “bars” or “entertainment spaces”, where dancing is not officially permitted — but still happens when no one is looking. Try to not get carried away by the music and start dancing too frantically though… or the security guy might have to come poke you on the shoulder and ask you to dance a little less. With the highest number of Michelin-star restaurants any city has ever had, and about 80,000 restaurants in total (in comparison, there are 15,000 in New York), Tokyo could easily be named Food Capital of the world. Plus it benefits from the infinite richness of the Japanese cuisine, which is one of the most varied and elaborate gastronomic cultures in existence. Fine restaurants are a-plenty, but if your budget is a bit tight, thousands and thousands of tiny eateries and izakayas (drinking establishments which also serve food) will provide you with an unpretentious, seriously tasty meal for under 5 euros. Everybody somehow expects Japanese cuisine to be very light — but I have been on the brink of passing out from overconsumption of food more than once during our stay! My absolute favourite dinner in Tokyo was the okonomiyaki — a hearty crepe made of flour, dashi stock, eggs, shredded cabbage and whatever else you fancy — at Botejyu, in Shibuya (website here). I still dream about it sometimes. 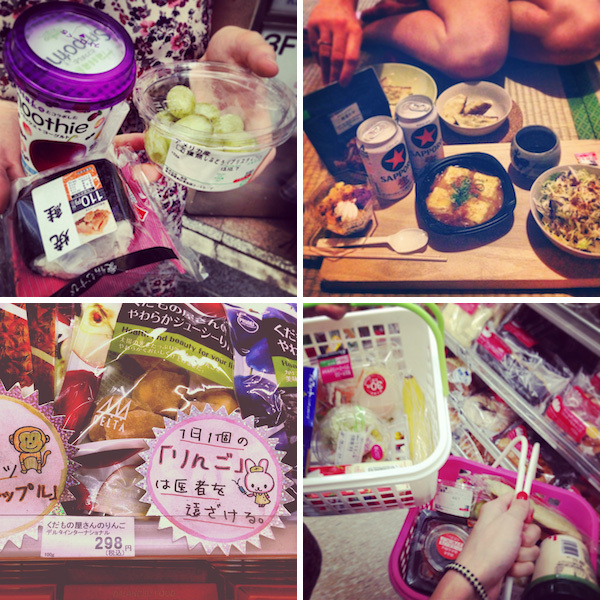 Food is almost uniformly good in Japan, wherever you buy it. While everybody who has lived in an Anglo-Saxon country is familiar with the concept of convenience stores, the ones in Japan (which name has been japanified into combinis) are more convenient than anywhere else, with a whole range of pre-made dished that actually taste amazing. If you don’t feel like going out for dinner, indulge into a combini-feast! Also perfect to pick up some quick breakfast. 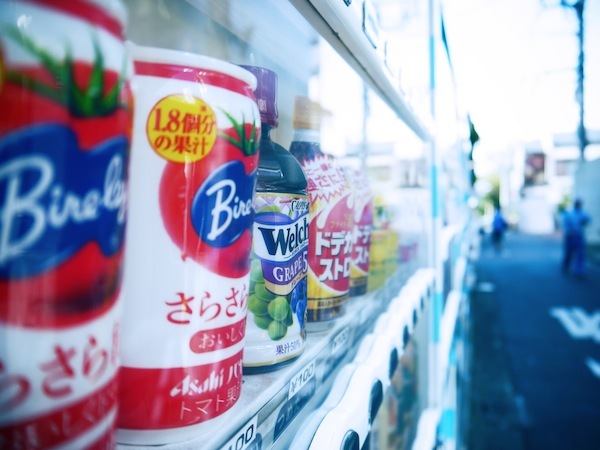 And should you feel the urgent need to get caffeinated while not in walking distance from a cafe, it’s worth knowing that the vending machines that are ever-present on the streets (and even inside temples) sell fresh beverages, but also hot coffee. In tin cans. Yes. 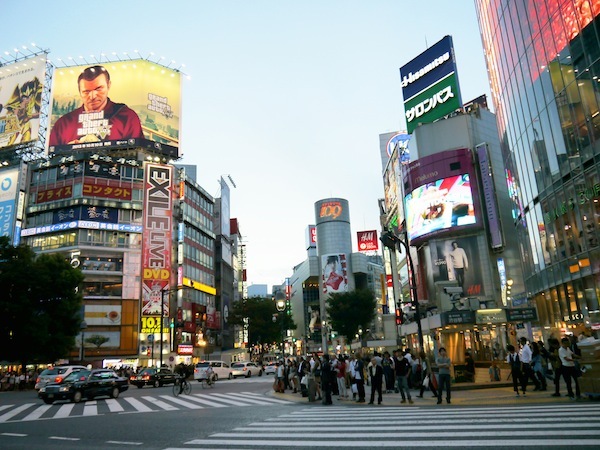 There is virtually no excuse not to have a good time, when traveling to Tokyo, the options are endless! 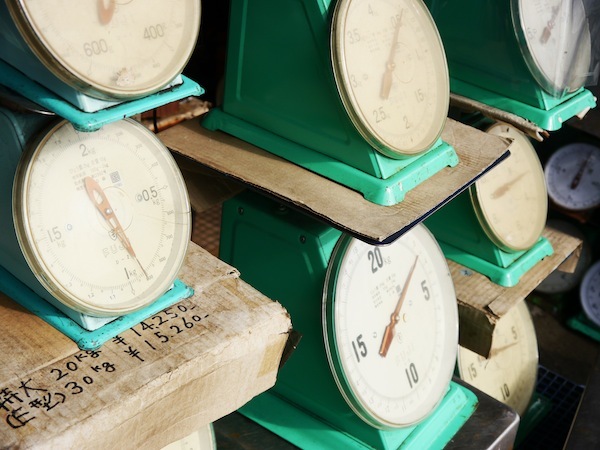 If the above don’t float your boat, why not book a tour to witness an early morning tuna auction at the fish market? This is a rare insight into traditional Japan that not many tourists get to see. Make it complete by adding a sushi breakfast! 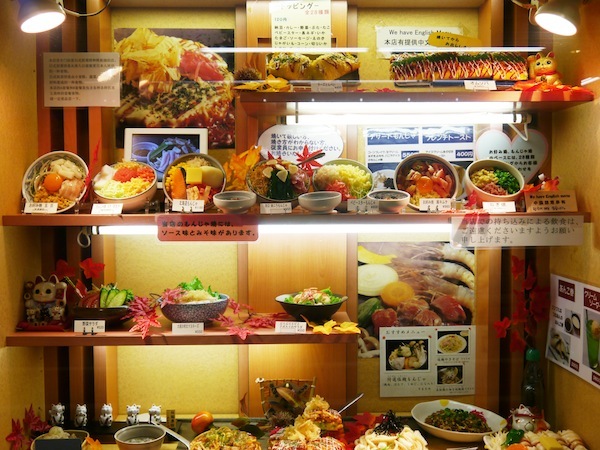 Speaking of eating, don’t miss out on Tokyo‘s latest hype: the Robot restaurant! Splurge on your bento box while being dazzled by colorful robots performing a show unlike any you’ve ever seen. If you love a good restaurant, Tokyo has some of the best in the world! It may be hard to get a table, so keep this service in mind to ensure you get a seat at the most coveted tables in town. 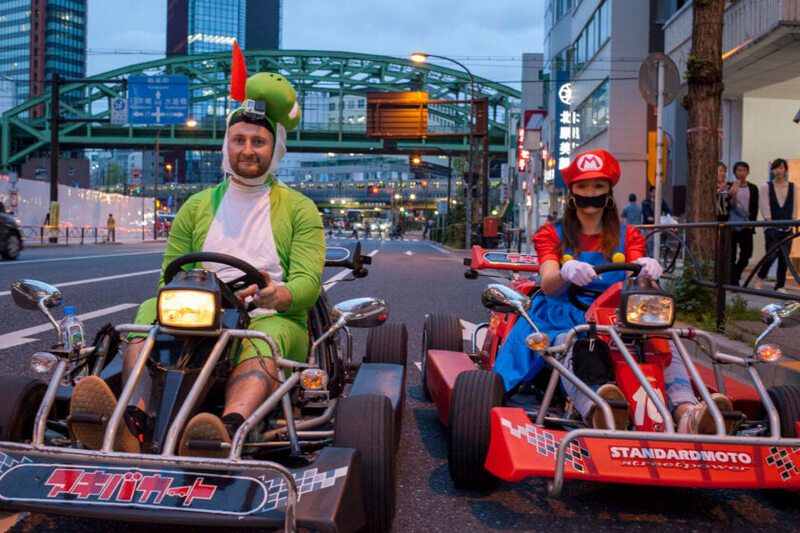 Finally, for all fans of totally fun and crazy action, we know just the thing: dress up in costumes and discover driving through Akihabara in go-karts! Imagine putting that on your instagram stream! What we really are saying, there is almost nothing you can’t do in Tokyo, your imagination is the limit. This clean, comfortable hotel is in a super convenient location, as Asakusa-Bashi station, which is within easy walking distance, is on the Toei Asakusa line that provides some direct train services to both Narita and Haneda Airports. 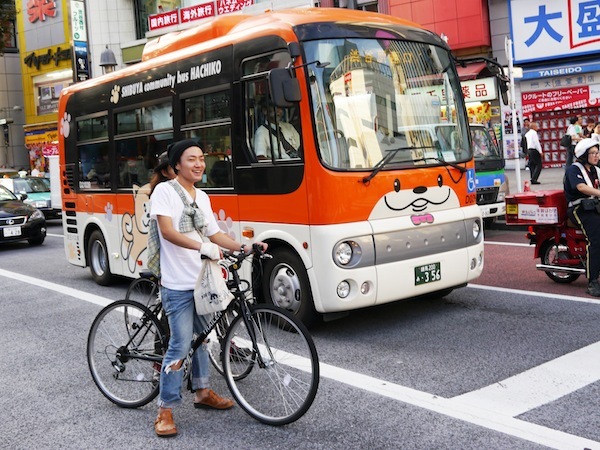 Located close to the bustling Shinjuku district and the Shinjuku-gyoemmae Metro Station, this cute hotel is a collection of mini-apartments which feature all mod cons and plenty of space (by Tokyo standards). Designed by legendary architect Frank Lloyd Wright, this beautiful, extravagant hotel is located in trendy shopping district Ginza, which boasts department stores, world-class eateries and plenty of bars and clubs. It is also just a few minutes’ walk from Hibiya Park, a beautiful and relaxing green space in the heart of the city. All photos by Marie Colinet. I feel like Tokyo is a city where you'll experience the most weird and crazy things that won't happen anywhere else in this world. This article kind of emphasises that haha! I really laughed when you were telling about not having any logical street numbers and how you're not allowed to dance in bars! Your photos are amazing, they really capture the spirit of the city! What a great list. I found some of it hilarious. I would love to go to that bunny cafe! What a cute idea. I was so bummed to see so many cute shoes but not one to fit my size 9 feet. I tried to squish my feet into a size LL but like Cinderella's stepsister, it just wouldn't fit. I did come home with socks though. So cute. Kawaii! That is really nice article. The point about the NO Dance rule was funny. I met a few club owners and know staff in a few clubs too, and all agreed to say it was ridiculous rule. Everybody know that those "bars" are actually clubs. And even if everywhere in the club is written in japanese and in english "don't dance" or "dancing forbidden" or "no dancing", everybody dances. Thank you soooo much for this post. Really enjoyable to read. My friends and I will be visiting Tokyo on first week of October. Any suggestions on what to prioritize in our itinerary? We need to squeeze everything in 5 days... and seeing that we might spend 1-2 days getting lost in the city, it will help what we need to get lost to (^_^). Thanks! I'd recommend to hang out in the Omotesando/Harajuku area though: lots of nice little shops, quaint streets and well-dressed people. 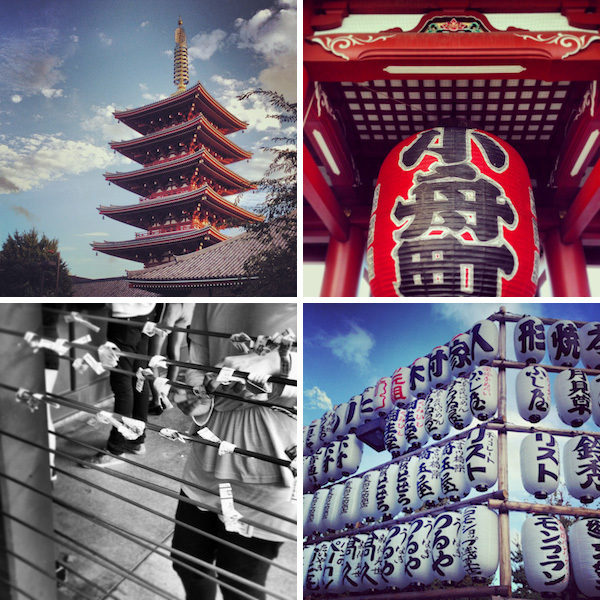 Asakusa is a more traditional area and cool to get lost in too. 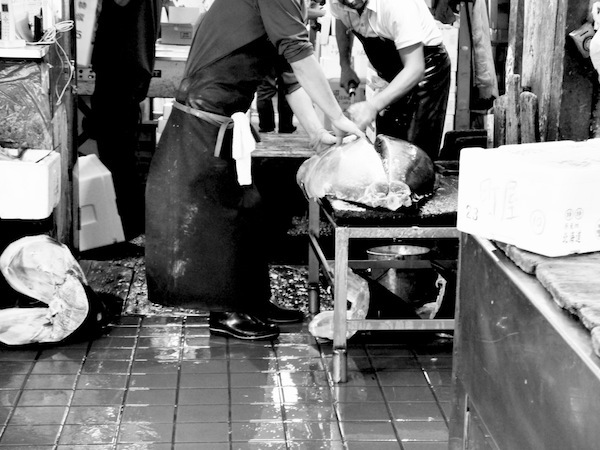 Definitely don't miss the fish market - I think it was my favourite experience. Probably squeeze in a karaoke session. And EATING should not be a quick chore done between two activities, but definitely your main priority! Oh thank you Kayna! You literally made my day. I do hope you visit your family in Japan and love it! It is so awesome that every person who visits Tokyo and Japan find something of their own. Did you know that there is an owl cafe as well? Visiting Tokyo is one of my biggest dreams. In case I´ll drop there one day I would know where to go or what to do. Thank you for this lovely post, I´m sure that you´d enjoyed your time there. Weird, crazy. I have Japanese friends, but never been to Japan. Tokyo is my dream city. 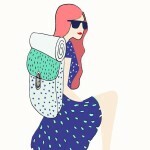 This list fired up my wanderlust again. Thanks. Great post! I came back before some days from Japan and I have to say that I agree to everything! I wish I could visit again this amazing country and this gorgeous city! wow! that was a great post to read from start to end. 6 of us plan to visit Tokyo for a week followed by Kyoto for another 5 days end March for Cherry Blossom season. Definitely want to try most of your top 10 things to do. Cannot wait! Thanks for writing this! 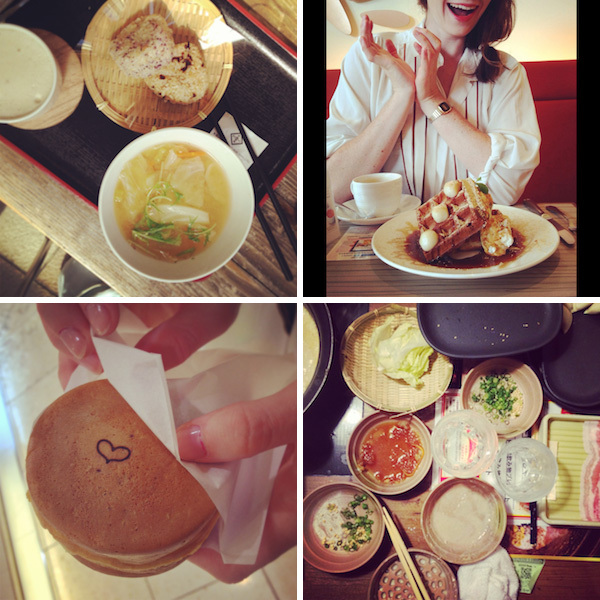 We spent six days sampling Tokyo on a multi city stop over. It is a memory that still delights me, especially the food! The Cos Play teens were also a treat and we got to see the cherry blossoms beginning their show. 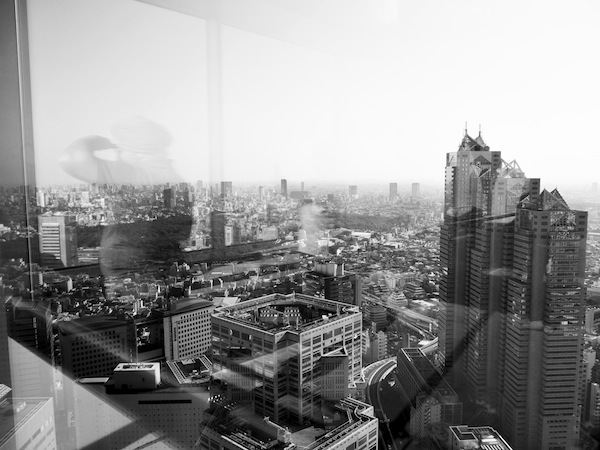 Thank you for sharing your perspective on Tokyo. Isn't it amazing how much calmer this gigantic metropole feels than say London. Until you said it I didn't even consider buying socks. In fact I was a little surprised by tge title. Nut you are right and I will definitely do this when we go back. Hello, I really enjoyed reading your article. I'm going to Tokyo in a couple of days and this article made me even more excited... Well done!